Great SEO is never cheap. Cheap SEO gives you cheap content and cheap links and all you will get for it is poor results, even the possibility of a penalty or site ban from Google. Think about it… you wouldn’t even think about investing in toxic cleaning chemicals if you were an environmentally friendly cleaning service, right? Cutting corners simply won’t work. So, think of SEO not as a cost but as an investment in the future profitability of your business. a) Are you a local, regional, national or global business? b) Are you going to create your own content or do you want us to create it for you? This includes articles, blog posts, infographics, press releases, eBooks, whitepapers, videos, podcasts and more. c) Are you in a broad competitive industry or a niche industry? The itemized deliverables included in the definition of our service to you will also be factored into the final cost. Local businesses should expect to pay an average of $1, 000 per month for Local SEO. If you are able to create your own content, the cost will be closer to $700 per month. Non-Local businesses should expect to pay an average of $4, 000 per month for the first 12 months. Similarly, the cost can be reduced to $2, 500-$3000 per month if you’re able to create your own content. Onsite Optimization involves many “geeky” steps and granular processes to ensure that all of your web pages and content are well presented and communicated to the search engine bots so that they are properly indexed, categorized and understood. Ultimately, it lays the foundation for a well built SEO strategy. At the center of it all is the ongoing production of high quality content. All your content will be expertly integrated and coded onsite. Offsite Optimization involves the rigorous promotion of your content to target social media sites (both popular and niche) as well as social bookmarking sites (StumbleUpon, Digg, Reddit and Delicious). These “social signals” and human interaction are exactly the kind of indicators search engines are looking for to rank your website content at the top of the search results. Social shares are also a major source of voluntary, high quality links back to your website, which also play a major role in ranking for relevant keywords. But that’s only half of the battle. So, you are now visible online and we are driving traffic to your website. Everything is going as planned. There is, however, always more to do… SEO is an ongoing process. Other key aspects of our processes include conversion optimization. This involves taking traffic and visitors and converting them into paying customers. Maximizing conversions through split testing of landing pages is central to the process of conversion optimization. Keyword breadth, otherwise known as the diversity of unique terms searchers use to reach your website. Yes. It is necessary. Let me explain why. 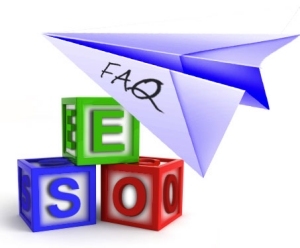 No credible SEO company can produce full value for the work involved in SEO over a short period of weeks or months. SEO is actually “forever” in the same sense that marketing is forever for any business that truly wants to succeed. Any business truly dedicated to results, staffing and correct processes must work with a contract that is fully representative of the real work and time frame involved. Otherwise, we would just be taking short term money with little in the way of tangible results. The visibility of your website will start to decline if and when you choose to abandon your SEO efforts. 4. How Soon Before I See Results? It is rarely soon. It’s not unusual for significant results to take 6-12 months to show. Local search results can occur in a couple of months. Real significant results for any SEO project, however, is measured in months and years, not days or weeks, depending on the metrics being considered. 5. I Am Only Looking to Rank for Just 5-10 Keywords. How Much Would That Cost Me? There is really no such thing as ranking for a handful of select keywords. No professional SEO Company would take on a new client with any expectations as to the rankings of any individual keywords. So the issue of cost for a finite list of keywords is moot because SEO doesn’t work that way. The number of keywords you want to target will not change the cost. The reality is that you have to target hundreds of keywords by consistently creating high quality content that’s rigorously pushed and promoted on well targeted sites including social media and social bookmarking sites. It all really starts with your first article, the first of hundreds over the months and years to come. As long as the quality of the research is sound, the keywords that you rank for will all be relevant and searched for by your prospects and customers. The key here is to focus on content and NOT individual keywords to drive traffic to the site. It’s a matter of controlling what you can control and recognizing what you can’t control. 6. Why Do I Need to Sign a 12 Month Agreement? As previously stated, SEO takes time and therefore patience. No definitive assessment can be made in 3, 6 or even 9 months. Many articles need to be written. Press Releases that are newsworthy need to be released. Additional fresh content such as videos, eBooks and podcasts need to be produced. All of this content needs to be well promoted to many social media and bookmarking sites. The profiles need to be created and developed to establish a relevant targeted audience for all of the content. Natural indexing and backlinking needs to be established and grown over time. All of this requires professional execution. It also requires the SEO Company to make significant commitments to human resources to carry out the Execution Plan. In essence, SEO and the client are in a marriage; not going out on a date. It requires many commitments including the valuable commitment of time. A one year agreement is really the least amount of time needed to fully execute and get any serious SEO strategy off the ground – complete with all of the onsite and offsite elements. 7. Why Do You Want FTP Access / CPanel Access Now? First and foremost, you should be skeptical of any company that is firing off quotes to you without “looking under the hood” first. A credible SEO company will ask for access to be able to properly assess the scope of the project and to be able to tell you exactly what you need to know vs. what you may want to hear. The ability to assess the “internals” of any site is critical towards establishing a game plan with proper execution. Before we can offer a solution, we have to know exactly what the problems are. Would you let your doctor operate on you before running tests and taking internal images? 8. How Do I Know That You Will Get Results? C’mon, have a little faith! In all seriousness though, you don’t know. But you can get strong assurance by seeing the results of our clients, reading and viewing our testimonials and detailed case studies of actual clients. We’re also more than happy to arrange client interviews where you can speak to our clients who’ve been working by our side from anywhere between 6 months to 5 or more years. 9. How Many Visitors Can I Expect to Get? Our SEOs have many spectacular skills. But unfortunately, predicting the future is just not one of them. They will certainly perform extensive keyword research which includes search volume research. They will also perform competitive research to get a fuller picture of the “search universe” for your specific business or niche. While we are confident and even certain that we will drive much more relevant traffic to your site, it is next to impossible to estimate the number of visitors without further extensive research. 10. How Many Sales Can I Expect to Get? As with foretelling anything, is it simply not possible to say. There are many things that we simply won’t know without further research. We’ll also need to learn and understand your competitive position in your marketplace. Even then, all of the visibility in the world still cannot forecast future sales volume at this early juncture. Predicting sales volume can only be expertly done when we actually have a handle on the many variables involved. It really comes down to firsthand experience and gaining insight into your products, industry and niche. Optimum7 will be happy to answer any further questions you have about online marketing. Feel free to contact us today for an initial, no obligation consultation. We’re here to help you enhance your online visibility, drive traffic and sales!